Image: Alberto E. Rodriguez/Getty Images. Let’s celebrate love for a minute, shall we? With heartbreaking breakups and surprising divorces monopolizing headlines where Hollywood relationships are concerned, the happy endings often slip through the cracks. But they do exist! While 2017 was dubbed the year of the celebrity split, we’re going to claim 2018 now — we proclaim it the year of celebrity nuptials. 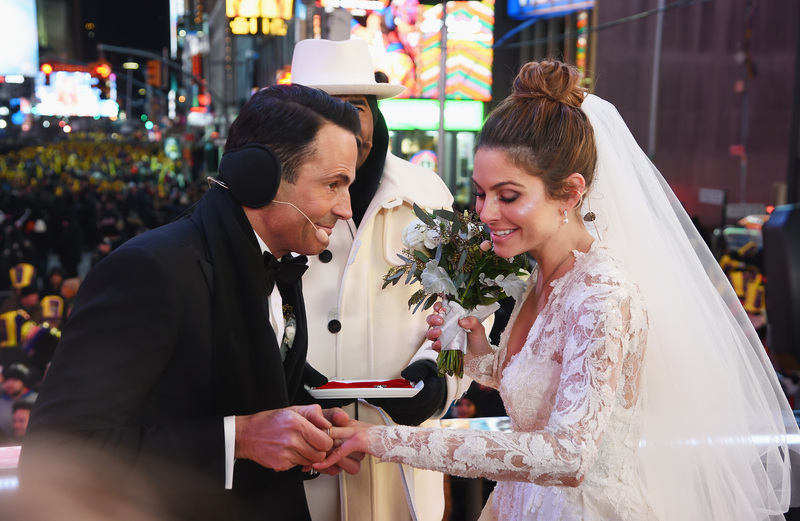 Celebrities like Maria Menounos and longtime partner Keven Undergaro kicked off 2018 by getting married just before the ball dropped on New Year’s. 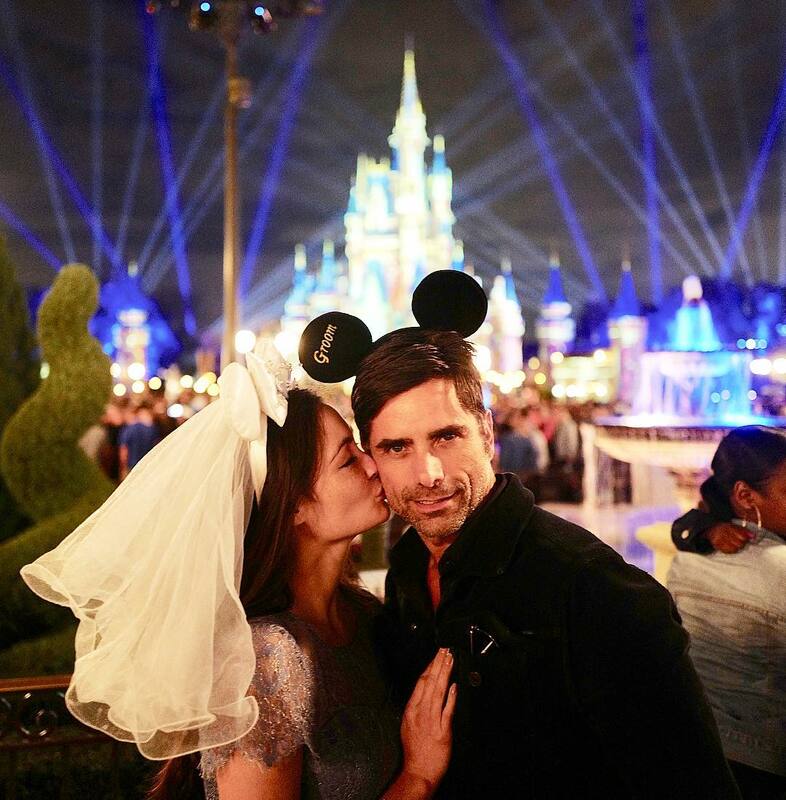 And plenty of stars seem intent on keeping love alive (case in point: even longtime bachelor John Stamos tied the knot!). To be honest, it’s refreshing to see so many celebrities embracing joy. Life is short; we should all be filling it with as much love as possible. Hopefully Hollywood will keep the love alive throughout 2018 — in which case, you can keep tabs on the latest nuptials right here. Here’s a look at the latest celebrities to make it down the aisle. A version of this article was originally published in April 2018. For the second year in a row, Meghan Trainor may have had the best birthday ever. In December 2017, Trainor got engaged to her boyfriend, actor Daryl Sabara, who she had been dating since July 2016. Now, on Dec. 22, Trainor confirmed on her Instagram that she and Sabara had officially gotten hitched. “I’m a wifey for lifey! Best birthday ever!!!!!! Thank you for everyone who helped make it happen… I Love you forever and always @darylsabara,” Trainor wrote as the caption to a repost of the People magazine exclusive photo of her and Sabara on their wedding day. Image: Paul Archuleta/FilmMagic, David M. Benett/Getty Images for Triumph Motorcycles. Design: Julie Sprankles/Getty Images. After meeting in October 2017 and spend a little over a year as a very in-love couple, HGTV star Christina El Moussa and British boyfriend and TV host Ant Anstead announced on Instagram that they had tied the knot in a surprise wedding over the weekend of Dec. 22. 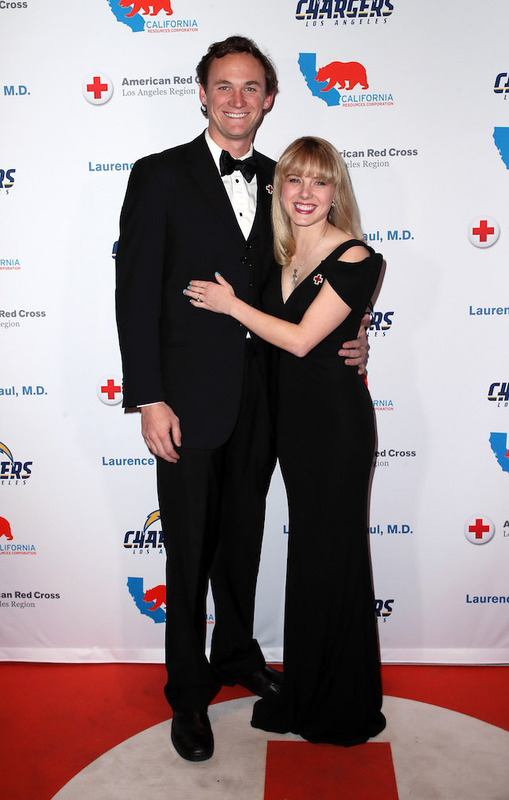 The couple were married in Newport Beach, California on Saturday with only 70 of their closest friends and family in attendance for their nuptials. Image: Albert L. Ortega/Getty Images. On Dec. 21, former child star Thora Birch confirmed on her personal Twitter account that she was finally a married woman. “It’s done! I’m a married woman now… This is not the official photo but it’s my thank you to all my fans for their positive energy! I felt it every second!! party time. Hehe,” the Hocus Pocus actor wrote, posing with her new husband (who she did not identify in the caption nor did Entertainment Tonight identify in their report on Birch’s nuptials). 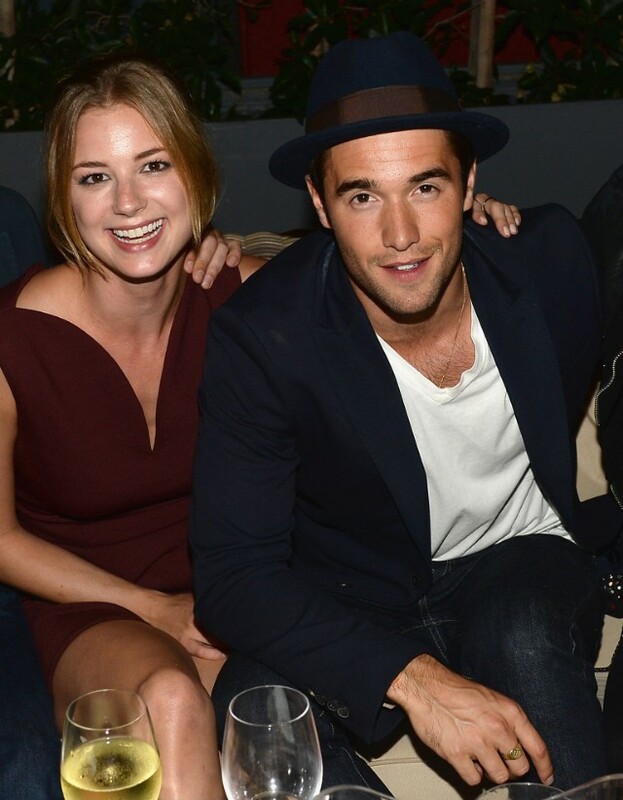 After getting engaged in 2017, former Revenge Emily VanCamp and Josh Bowman finally got married costars in December. The actors, who first met on the set of Revenge in 2012, got hitched on Habour Island in the Bahamas, surrounded by friends and family. 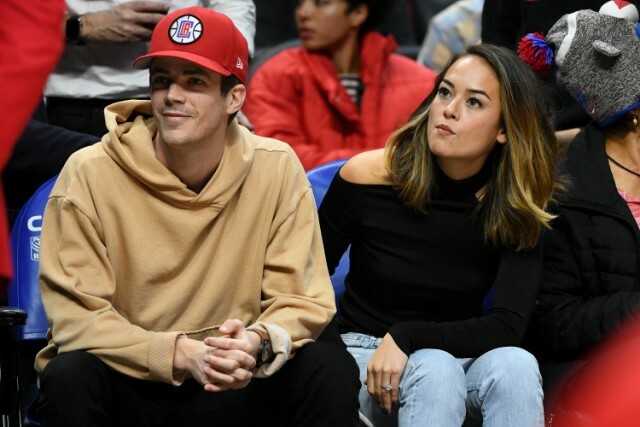 The Flash star Grant Gustin got married to his fiancee of one year, LA Thoma, in a romantic ’20s-themed wedding in December, according to Hollywood Life. Image: Alberto E. Rodriguez /Getty Images. Image: Mike Coppola/Getty Images for People.com. After a week of pre-wedding celebrations in her home nation of India, actor Priyanka Chopra officially wed musician Nick Jonas on Saturday, Dec. 1, according to People magazine. The couple, who got engaged in July 2018 and first met in 2017, were wed at the Umaid Bhawan Palace in Jodhpur, Rajasthan in the first of two ceremonies that happened over the course of the first weekend of December. While Saturday’s ceremony was a Christian ceremony officiated by Jonas’ father, a Hindu ceremony honoring Chopra’s background was held on Sunday. 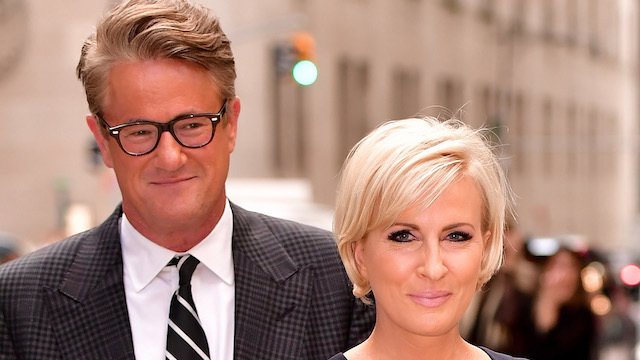 On Saturday, Nov. 24, journalists Joe Scarborough and Mika Brzezinski tied the knot at a secret ceremony in Washington, D.C. According to Vanity Fair, the ceremony took place at the National Archives — right in front of the Constitution, the Declaration of Independence and the Bill of Rights — and only close friends and family members were in attendance. In fact, the couple did not send out formal invitations; instead, they made phone calls, and none of their estimated 40 guests knew where the dinner was until Saturday evening. “We wanted it to be really small and simple and not what you expected from Mika and Joe,” Brzezinski said, and it seems it really was. Mandy Moore and musician Taylor Goldsmith wed on Nov. 18 in a private backyard ceremony, and according to E! News, the event was very intimate. “There was a small group of family and friends that looked to be about 50 people,” one source said. This is Goldsmith’s first marriage and Moore’s second. 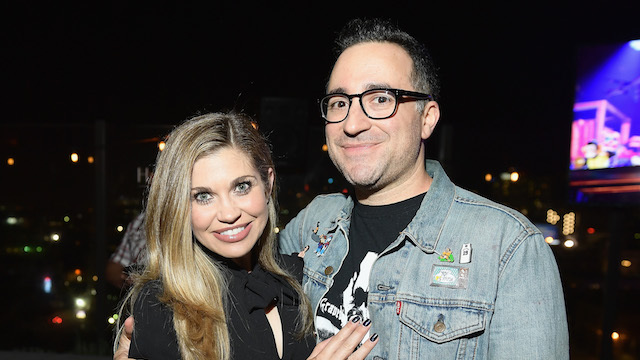 After a brief engagement, actor Danielle Fishel married writer and comedian Jensen Karp on Nov. 4. While it is unclear how long the pair has been dating — Fishel first showed up on Karp’s Instagram in June 2017 — they have known each other for a long time. A really long time. In fact, Fishel and Karp met in high school! 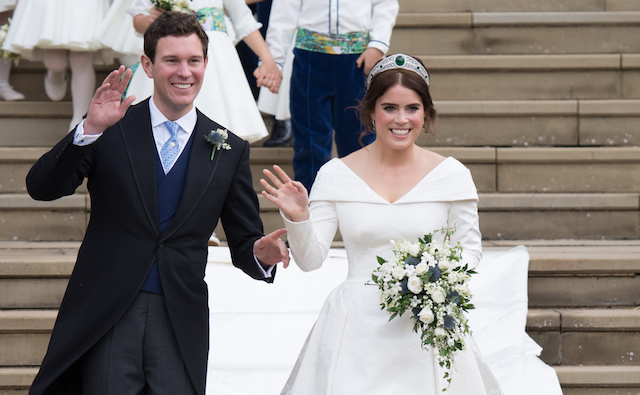 On Saturday, Oct. 13, Queen Elizabeth II's granddaughter, Princess Eugenie, and Jack Brooksbank tied the knot at St. George's Chapel in Windsor Castle (the same spot that Eugenie's cousin, Prince Harry, tied the knot with Meghan, Duchess of Sussex, just seven months before). The couple, who have been together for seven years, were surrounded by 800 guests during their high-profile wedding, including celebrity guests like Demi Moore and Liv Tyler, as well that their family. People magazine reported on Sept. 29 that Gwyneth Paltrow had finally tied the knot with Brad Falchuk after getting engaged in January. The couple had a reportedly intimate ceremony, surrounded by family and friends. 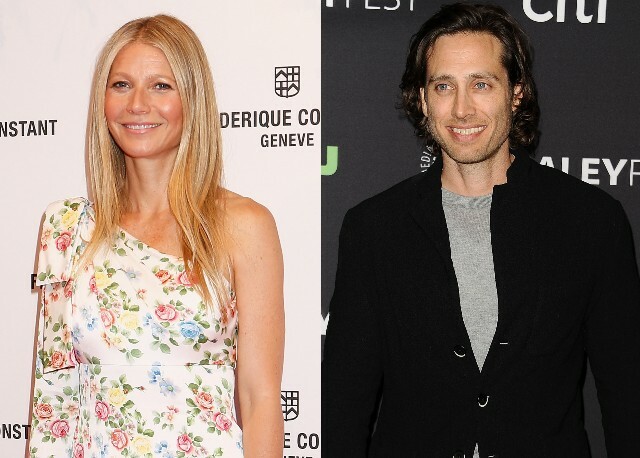 This is Paltrow and Falchuk's second respective marriage. Image: Dimitrios Kambouris/Getty Images for Trevor Live. E! News confirmed that Law & Order: SVU star B.D. 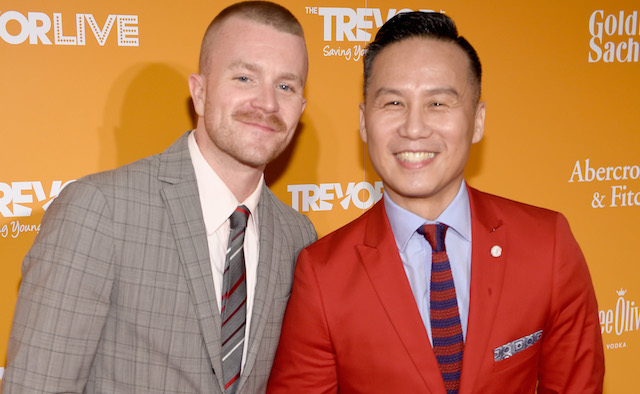 Wong married his partner, Richert Schnorr, in an intimate ceremony in Brooklyn. The couple has known once another since 2010, where they met at a singles mixer. Image: Jamie McCarthy/Getty Images for NYFW: The Shows. People magazine was able to confirm that, over the first weekend of October, Barabara Bush (pictured right) tied the knot with screenwriter Craig Coyne (not pictured) in a secret ceremony attended by friends and family at the Bush family compound in Kennebunkport, Maine. 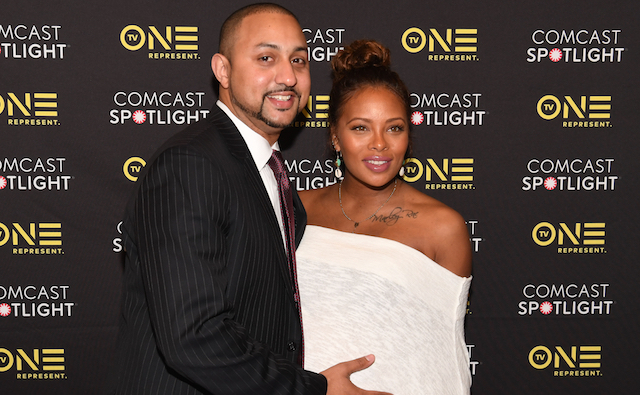 People magazine reported in October that former America's Next Top Model contestant and Real Housewives of Atlanta star Eva Marcille had married lawyer Michael Sterling five months after giving birth to their first child together, Michael Todd Sterling Jr. Image: Joe Scarnici/Getty Images for Annenberg Space for Photography. 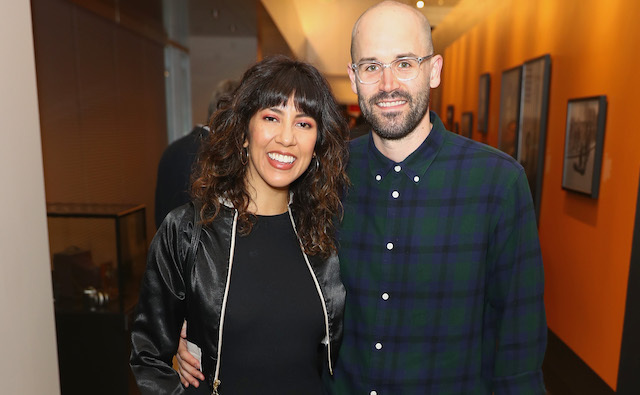 Entertainment Tonight confirmed in October that celebrated Brooklyn Nine-Nine actor Stephanie Beatriz finally tied the knot with longtime partner Brad Hoss in a private ceremony attended by 300 guests in Los Angeles. Image: Paul Marotta/Getty Images for Emerson Colonial Theatre. 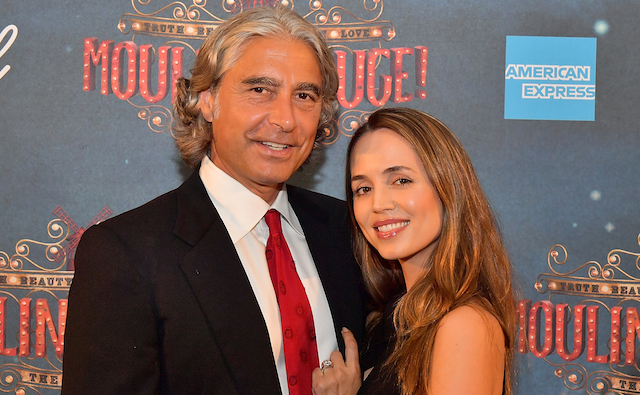 Actor Eliza Dushku married former tennis pro and current real estate entrepreneur Peter Palandjian in August, although, according to Us Weekly, the couple didn't confirm until one month later. Image: Ricky Vigil M/GC Images/Getty Images. 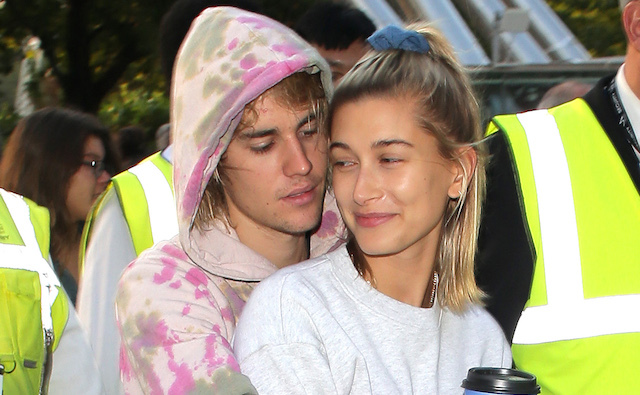 After getting engaged while on vacation in July, rumors circulated in September that Bieber and Baldwin had secretly married. Bieber's mother, Pattie Mallette, seemed to confirm the marriage with a cryptic tweet "Love is unconditional" and used the hashtag "#LoveWins". Neither Bieber nor Baldwin confirmed the wedding. 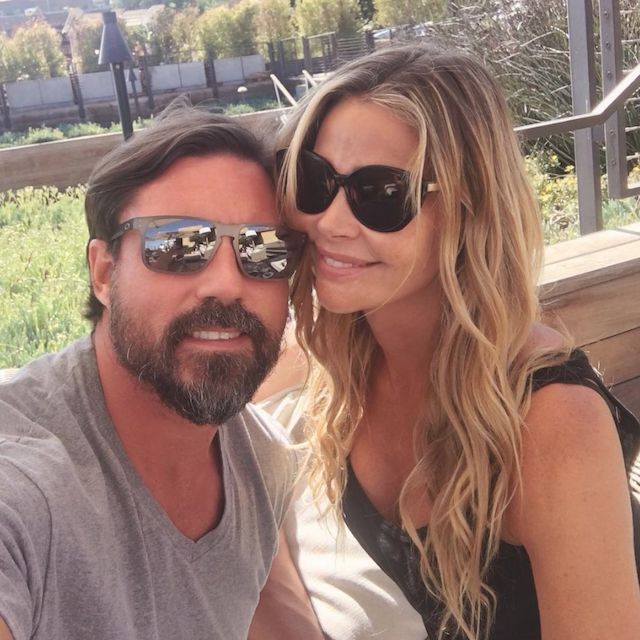 In an incredibly whirlwind fashion, Denise Richards went from engaged to married to longtime boyfriend Aaron Phypers in just a few days. 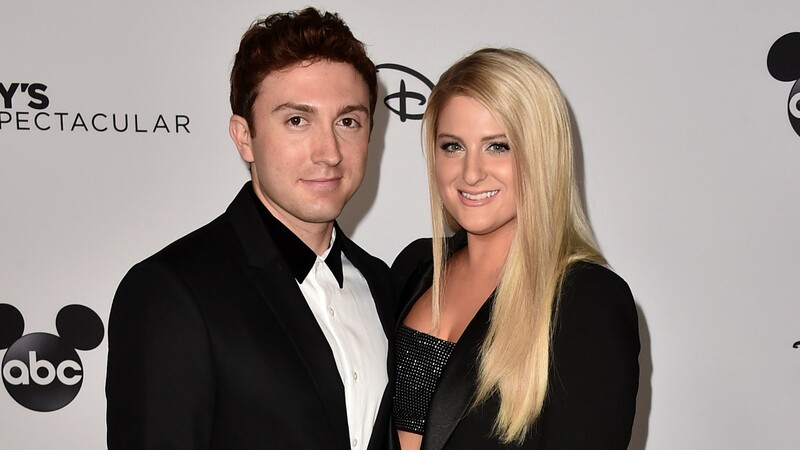 Richards and Phypers confirmed their engagement on September 6 and by September 8, a report emerged on Us Weekly that the couple had tied the knot in a romantic ceremony in Malibu, California. 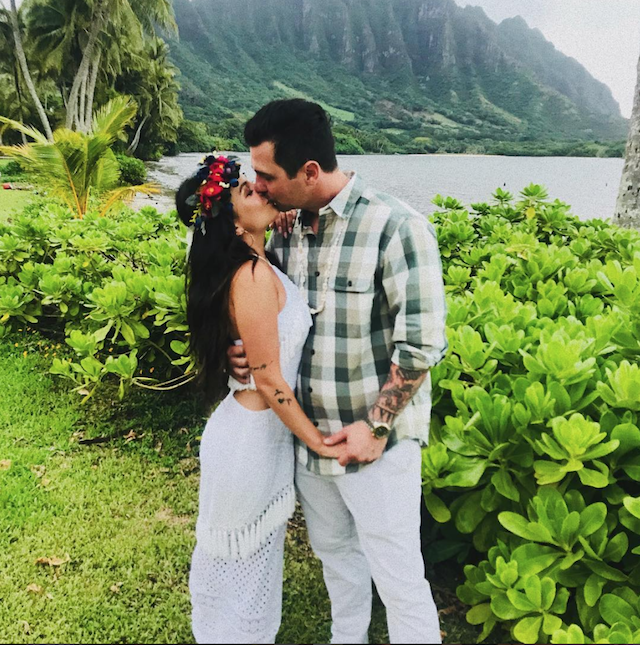 Us Weekly reported that Pretty Little Liars alum Janel Parrish finally got hitched to her longtime fiancé, Chris Long, over the weekend of Sept. 7 in a beautiful ceremony in Hawaii. In a statement to Us, Parrish commented, "We feel so lucky we found each other in this crazy world. 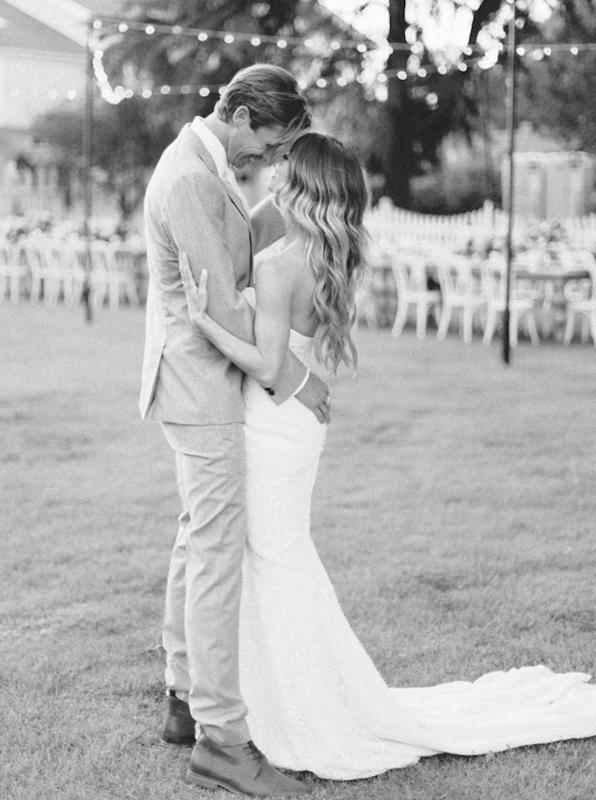 Marrying my dream man in my home of Hawaii surrounded by family and friends was a dream." 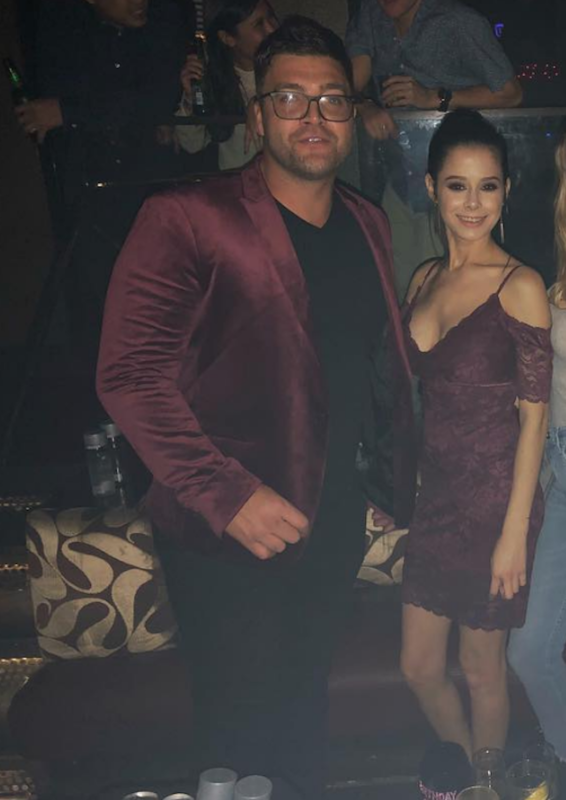 MTV News confirmed that The Real World alum Chris "CT" Tamburello married his girlfriend, Lilianet Solares, in an intimate wedding in Florida. 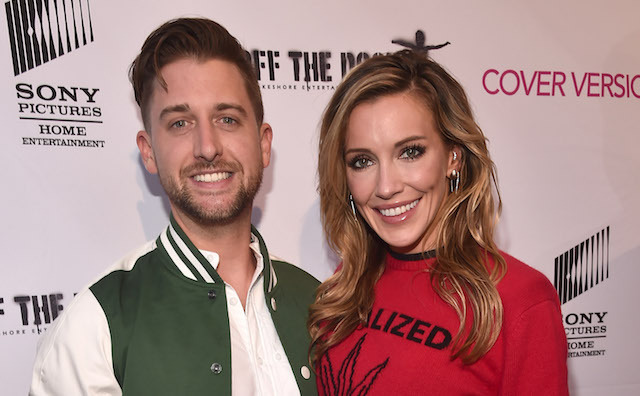 The couple's ceremony was attended by a number of MTV stars, including Cara Maria Sorbello, Derrick Kosinski, Leroy Garrett, Shane Landrum, Tony Raines and Wes Bergmann. People magazine confirmed that Good Morning America reporter Lara Spencer finally tied the knot with businessman Rick McVey over the weekend of September 1. The couple were married in an outdoor ceremony in Vail, Colorado with approximately 135 guests in attendance. Spencer was walked down the aisle by her son, Duff, while Christina Perri's "A Thousand Years" played. Image: Matt Winkelmeyer/Getty Images for SXSW. E! 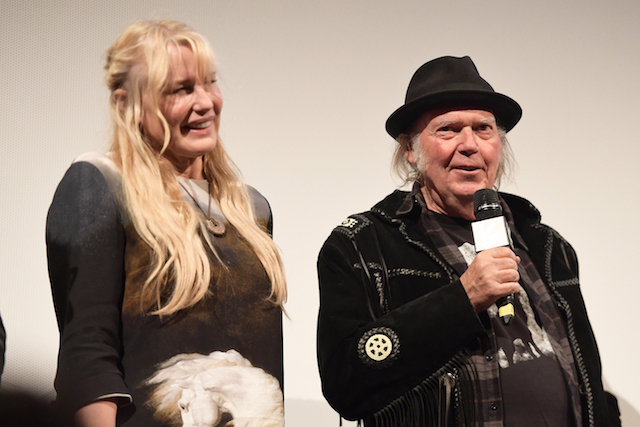 News confirmed that typically private couple Daryl Hannah and Neil Young got married in late August. The actor and the musician have been together since 2014 and were reportedly married in an intimate ceremony amongst close friends. 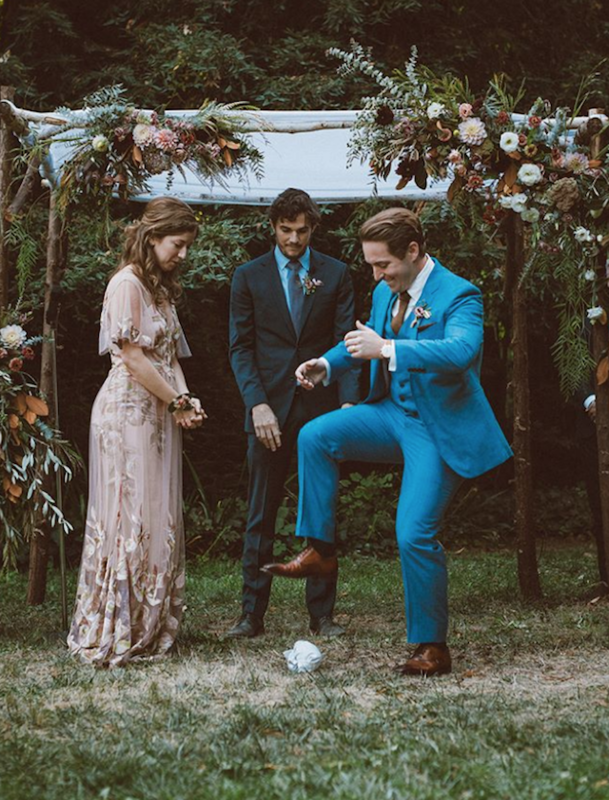 Saturday Night Live cast member Beck Bennett married actor Jessy Hodges on August 25, Us Weekly reported. Bennett couldn't contain his excitement about tying the knot with Hodges, writing a sentimental post dedicated to her and their friends who attended on his Instagram to accompany a set of photos from their wedding day: "I'm so lucky I got to marry you @jessyhodges. Love you forever times a billions [sic]. Thank you to all our friends and family who came out to celebrate us and made it the best weekend of our lives." Exciting news! According to E! News, Hilary Swank secretly tied the knot with her now-husband, Philip Schneider, at Saint Lucia Preserve in Carmel, California sometime in late August. Surrounded by family and friends, Law & Order: SVU star Mariska Hargitay was Swank's maid of honor and Schneider's father was the best man. 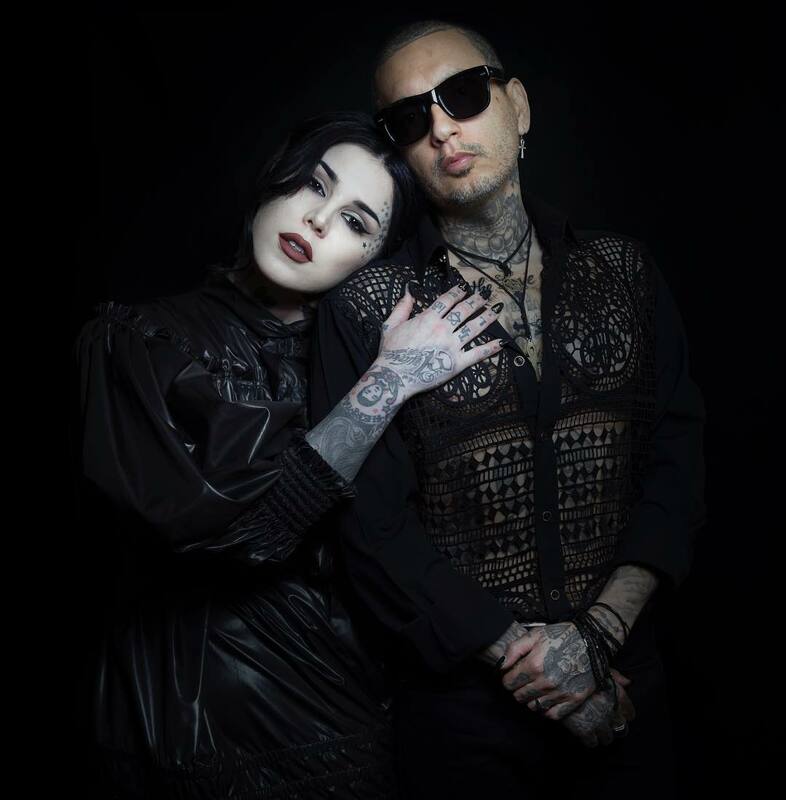 Swank wore a dreamy Elie Saab gown, per Vogue, and she told the fashion magazine about the inspiration behind it, noting, "I wanted something romantic that felt as timeless as the redwood grove where we were to be married, and he delivered—designing something that far surpassed my greatest expectations. It was everything I imagined and more." 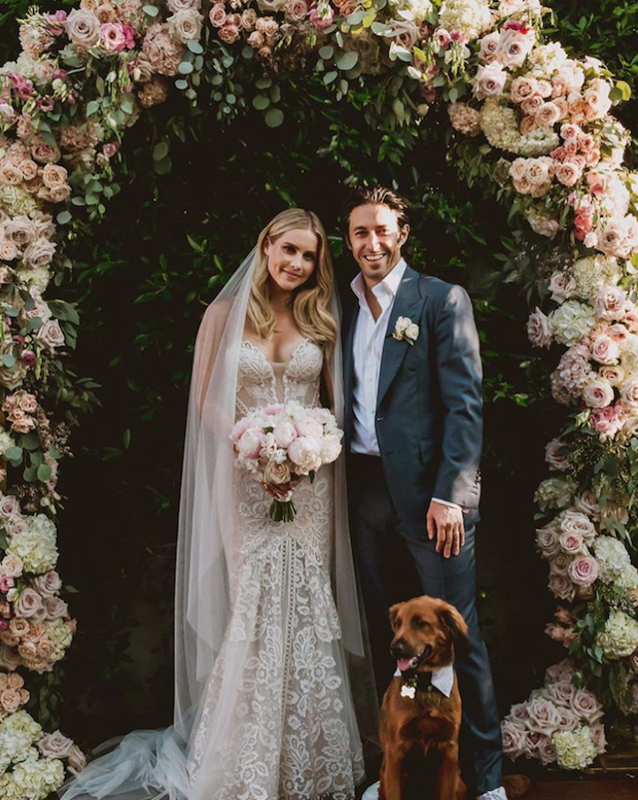 Claire Holt, star of The CW's The Originals, finally and happily got married to her fiancé of eight months, real estate executive Andrew Joblon, according to People magazine. Eight seems to be the couple's lucky number because they tied the knot on August 18. The couple officially confirmed their relationship in July 2017 and wasted no time at all in their march toward the altar when they got engaged in December 2017. 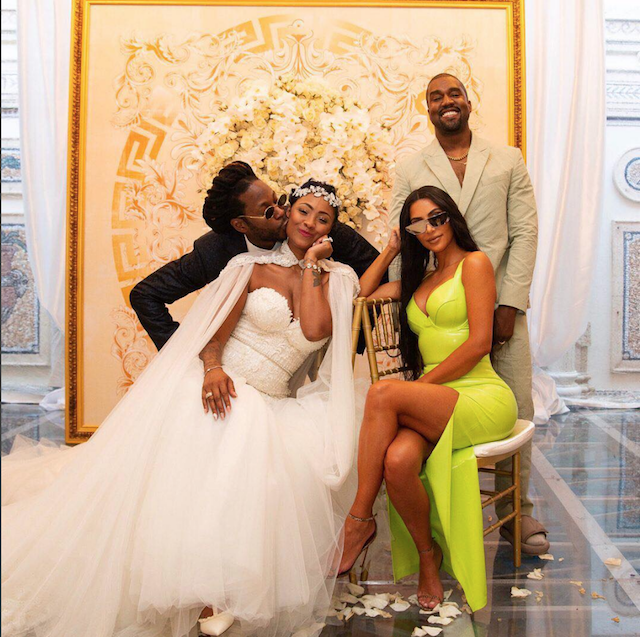 After proposing to her on the steps of the 2018 Met Gala, 2Chainz (given name: Tuaheed Epps) officially married his longtime love, Kesha Ward, in a dreamy ceremony in late August. According to Entertainment Tonight, the couple were married at Villa Casa Casuarina in Miami, Florida. Lots of celebrities turned out for the event, including Kanye West, Kim Kardashian West and Lil Wayne. 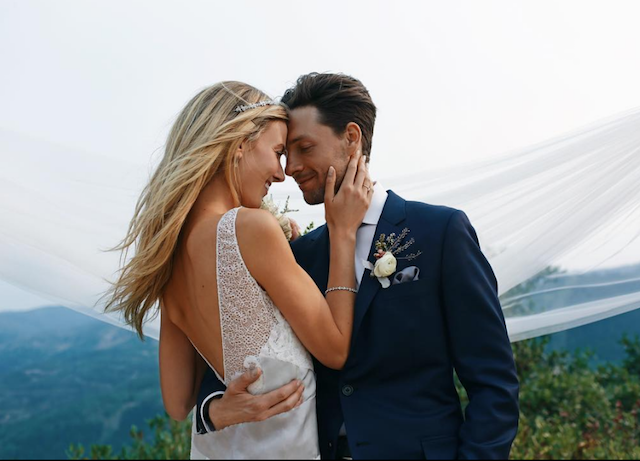 Us Weekly reported that in August, Everwood star Gregory Smith married model and actor Taylor McKay on Monday, August 20 after getting engaged in August 2017. The couple's wedding was held outdoors, in a rustic wedding in Park City, Utah. E! 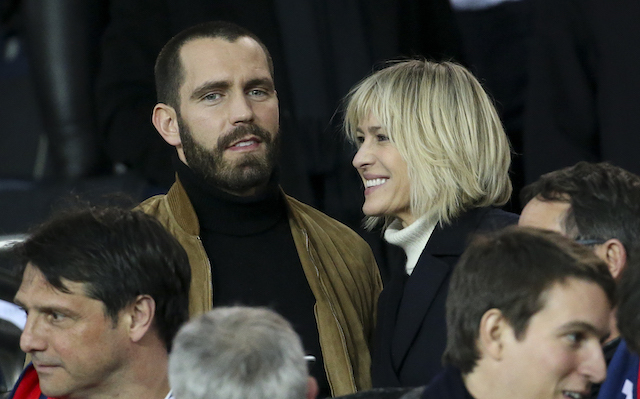 News reported that over the weekend of August 11, House of Cards star Robin Wright got married in a secret location to her beau of a little over a year, Clement Giraudet, a VIP relations manager for the brand Saint Laurent. Image: Kevin Mazur/MG18/Getty Images for The Met Museum/Vogue. Jordi Vidal/Redferns via Getty Images. 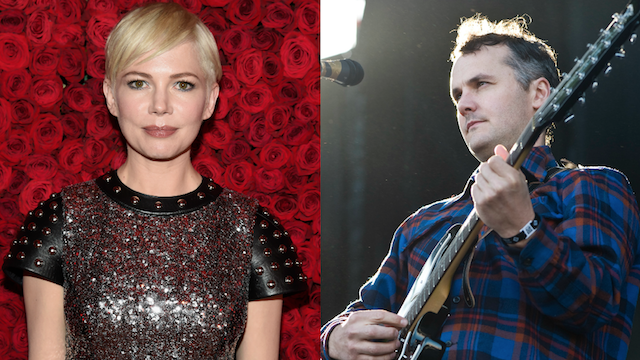 In a Vanity Fair profile published in July, actor Michelle Williams revealed that she had secretly wed musician Phil Elverum. 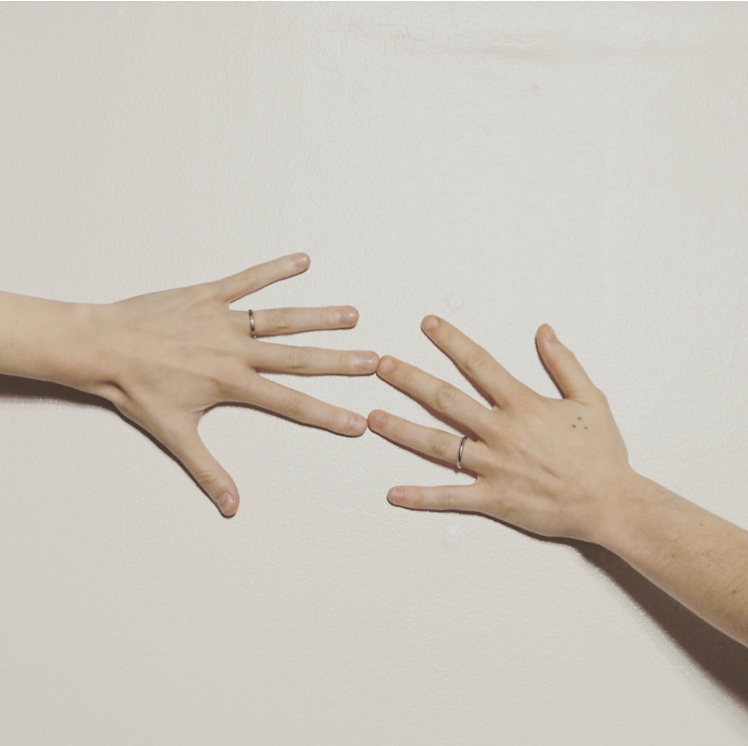 Of her connection to the musician, she explained, "Phil isn't anyone else. And that's worth something. Ultimately the way he loves me is the way I want to live my life on the whole. I work to be free inside of the moment. I parent to let Matilda feel free to be herself, and I am finally loved by someone who makes me feel free." 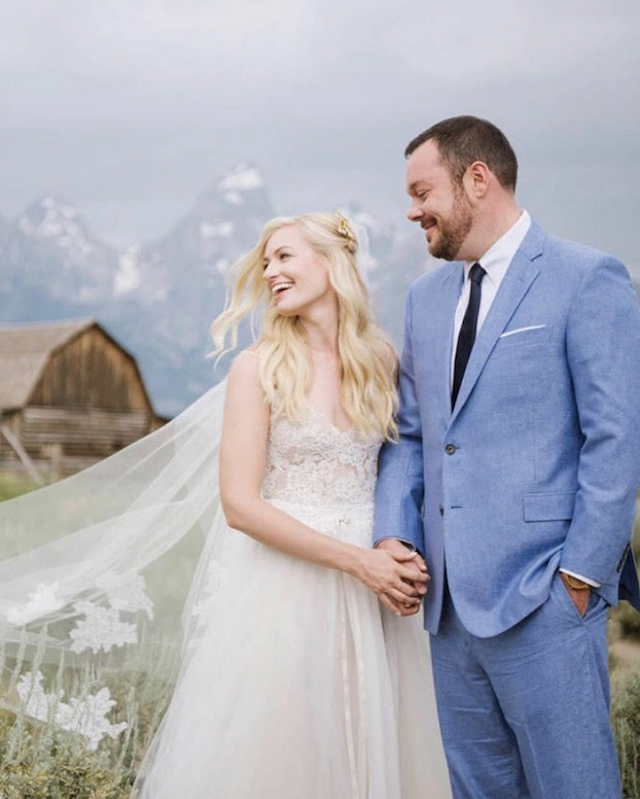 After a two-year engagement, 2 Broke Girls star Beth Behrs finally wed Mad Men alum Michael Gladis. According to E! News, the couple were married in a dreamy countryside ceremony in Jackson Hole, Wyoming surrounded by friends and family, including Behrs' 2 Broke Girls costar Kat Dennings and Gladis' Mad Men costar, Christina Hendricks. People magazine reported in July that rapper Pusha T finally got married to his long-term partner, Virginia Williams, in July. People magazine reported that the couple were married at the Cavalier Hotel in Virginia Beach. 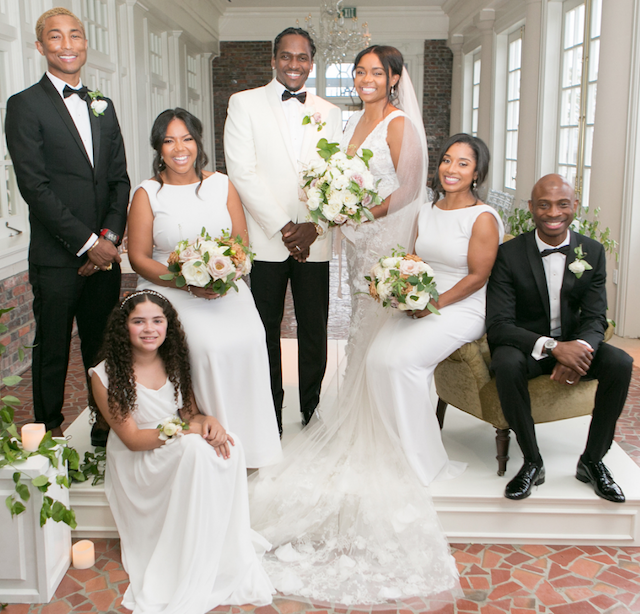 Pharrell Williams was the best man and the wedding was attended by lots of celebs, including Kim Kardashian West, Kanye West, Fabolous, The Dream and Trey Songz. People magazine reported that the daughter of Vogue editor-in-chief Anna Wintour, Bee Shaffer, got married twice to husband Francesco Carrozini. 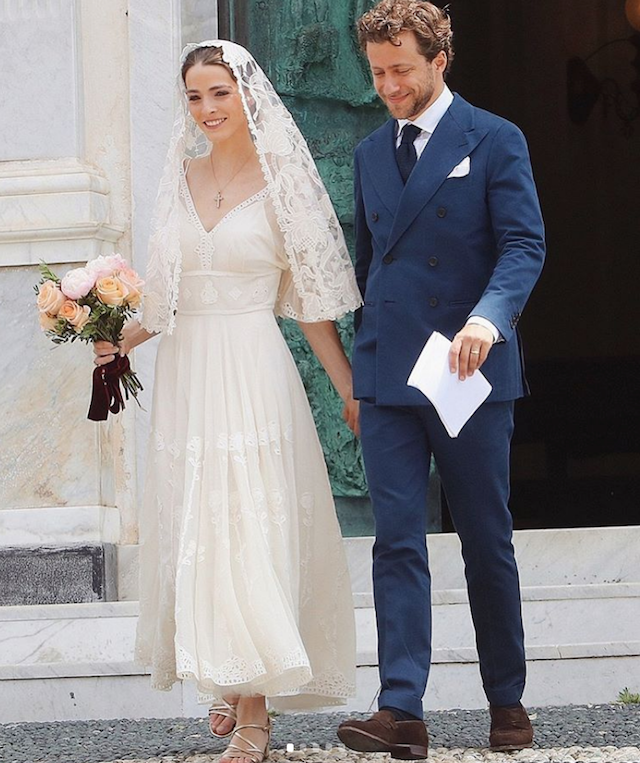 The couple had their first ceremony in Long Island in early July and then, a week later, had a second ceremony in Portofino, Italy, in front of friends and members of Carrozzini's family. 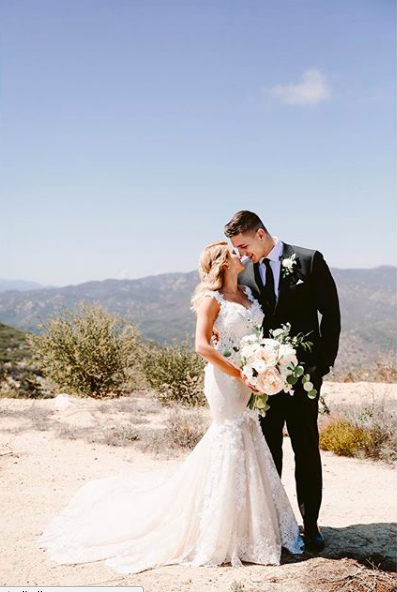 Although their wedding was on April 27, former Bachelor contestant Taylor Molzahn is finally able to share some of the official pictures from her wedding to her sweetheart, Taylor Leopold. The couple opted for an intimate wedding in their backyard, surrounded by family and friends. The photos, posted to Martha Stewart Weddings, show the very in love couple posing for some gorgeous shots. Even better, Molzahn has added even more wedding photos to her Instagram, including a cute shot of her and her bridesmaids. People magazine reported that over the weekend of July 7 that Twilight star Ashley Greene and Paul Khoury tied the knot in a sweet, intimate ceremony in San Jose, California. A source told the outlet that the couple did something rather adorable during the ceremony: "Paul and Ashley [played] rock-paper-scissors to decide who would say their vows first during the ceremony. Ashley ended up 'losing' and went first." Wedding guests included Eiza Gonzalez and Josh Duhamel, Aaron Paul and his wife Lauren, and Evan Ross. Another glorious marriage in the Queer Eye universe has happened. 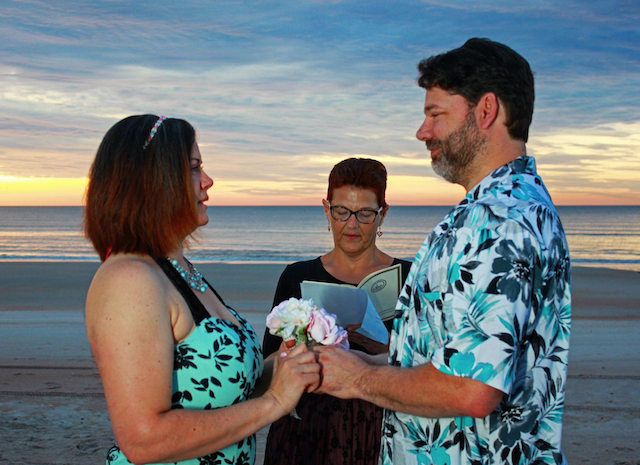 Over the weekend of July 7, season 2 guest William Mahnken married his longtime girlfriend, Shannan Eller. Mahnken's proposal to Eller figured prominently into his episode. 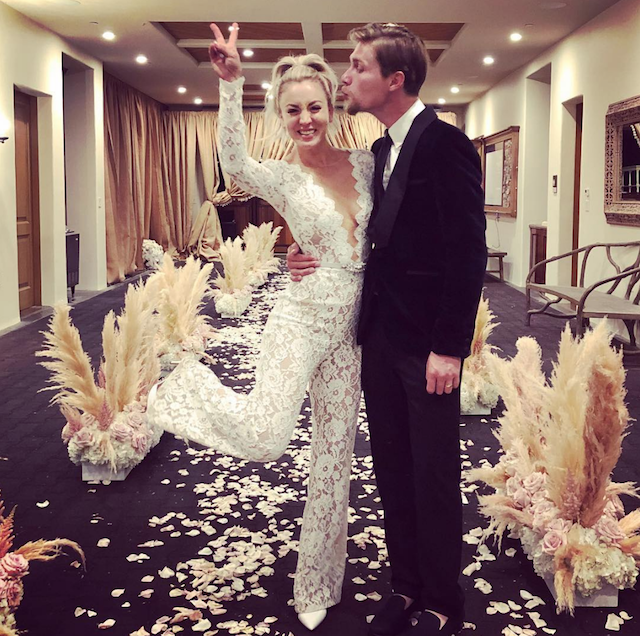 On June 30, sweethearts Kaley Cuoco and Karl Cook officially tied the knot in a fun, rustic ceremony in a horse stable near San Diego, California. The location, a nod to Cook's profession as an equestrian, was filled with friends, family, his and hers denim jackets with "KC Squared: Together Forever" on the back and music artist Gin Wigmore singing Cuoco down the aisle. How cute is that? Image: David M. Benett/Getty Images. Theory of Everything star Felicity Jones got married in a very private ceremony in June. According to Entertainment Tonight, Jones married her partner of three years, film director Charles Guard, got hitched at Sudeley Castle in Gloucestershire in the UK. Similar to their nuptials, Jones and Guard quietly got engaged in May 2017 after two years of dating. Image: Mark R. Milan/GC Images/Getty Images. 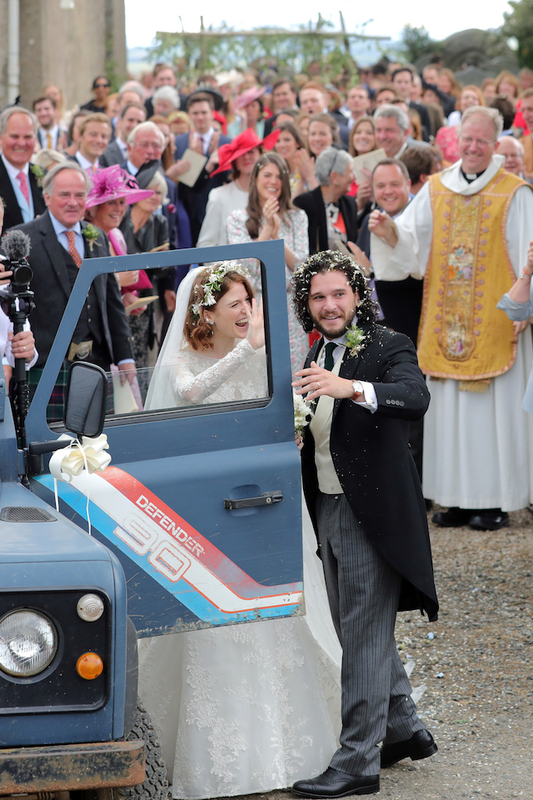 Surrounded by friends, family and lots of their Game of Thrones costars, longtime sweethearts Kit Harington and Rose Leslie were married in a little chapel in Kirkton on Rayne in Aberdeenshire, England over the weekend of June 22. The pair had been dating since 2012, when they met on the set of GoT, and had been engaged since September 2017. Shameless actor Laura Slade Wiggins married longtime sweetheart Kyle Weishaar at the Historic Smithonia Farm in Colbert, Georgia, according to People magazine. The couple met in 2008 on the set of Taylor Swift‘s Sony TX7 commercial but didn't officially get together until three years later, when a mutual friend reintroduced them. 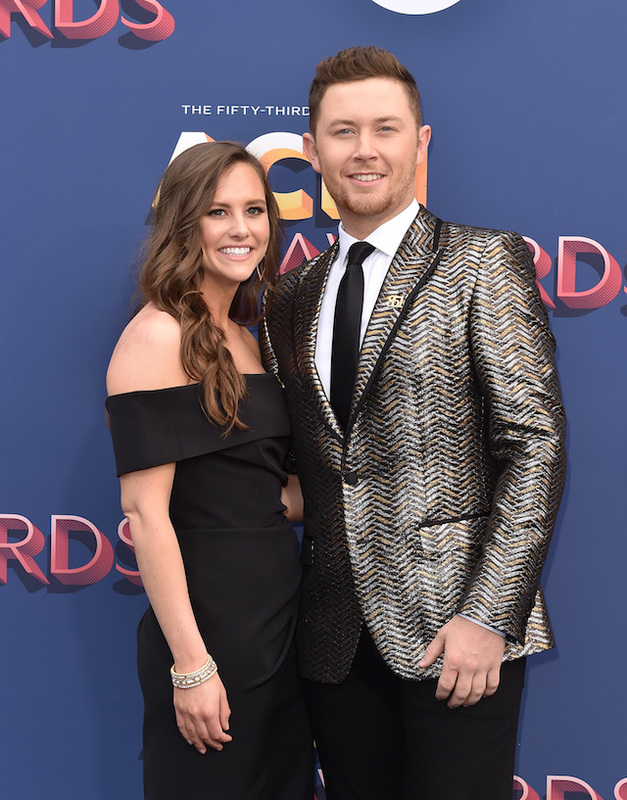 After six years together, American Idol alum Scotty McCreery and his sweetheart, Gabi Dougal, finally got hitched over the weekend of June 15. According to People, the pair's wedding was officiated by McCreery’s childhood pastor in a picturesque rural North Carolina setting. The reception was a total funfest, with a Cajun-style shrimp boil on two days before the wedding and a rehearsal dinner on “up on the cliffs” near their wedding venue. Five years after meeting a party in 2013, The Hills alum Brody Jenner tied the knot on June 2 with social media influencer Kaitlynn Carter. A few days after getting hitched, Jenner told People magazine that "it feels awesome," in regards to getting married, finally, to his sweetheart. He even joked: "I honestly feel like we’ve been married for five years already!" 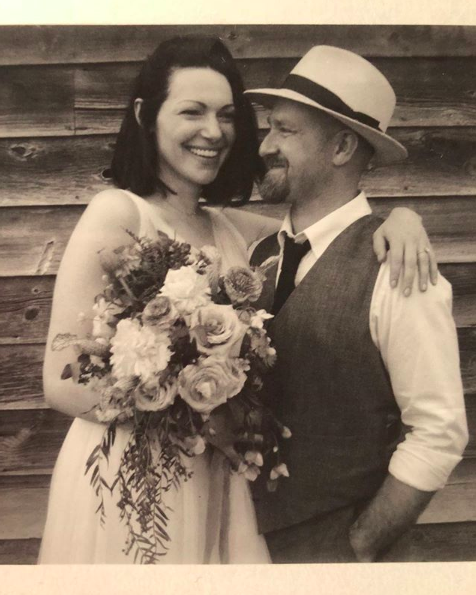 On Sunday, June 3, Laura Prepon posted her wedding announcement on Instagram, alerting fans that her and Ben Foster finally tied the knot. "Just Married!" she wrote. "Thank you for all the love and support. Wishing all of us the good stuff!" Prepon and Foster share one daughter, Ella, who was born in August 2017. A.J. 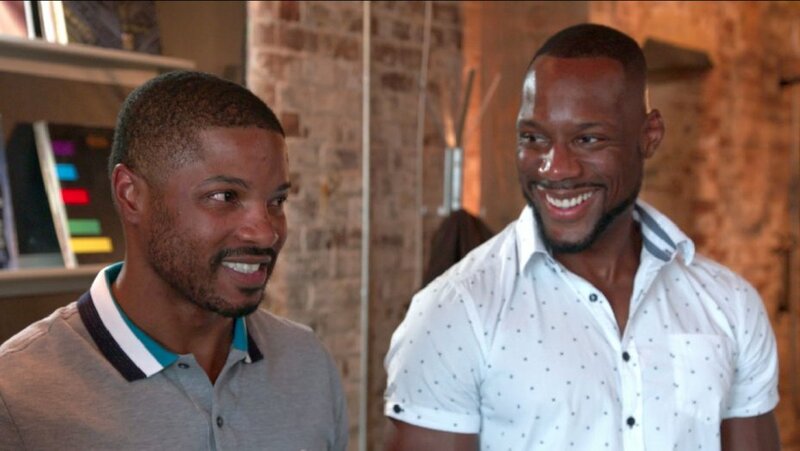 Brown and Andrey – who were featured on the first revival season of Queer Eye – joined the Fab Five's Karamo Brown, Bobby Berk, Antoni Porowski, Tan France and Jonathan Van Ness at the Netflix FYSee panel on Thursday and announced that they tied the knot. 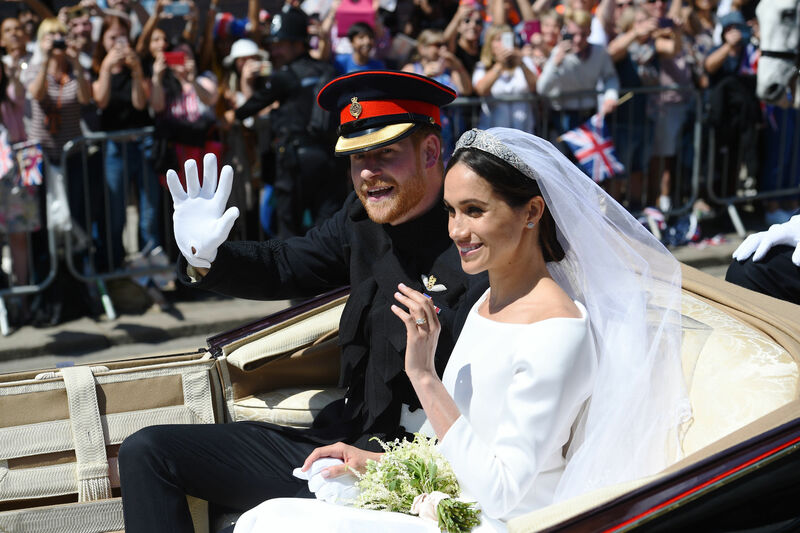 Meghan Markle became the official Duchess of Sussex on April 19, marrying Prince Harry in a stunning ceremony at St. George on Windsor Palace. You have to see the photos from the big day. Tori Kelly confirmed she married her basketball beau André Murillo on April 20 with the caption, "To be loved but not known is comforting but superficial. To be known & not loved is our greatest fear. But to be fully known & truly loved is, well, a lot like being loved by God.” — Tim Keller; thank you to everyone who made this the most magical day ever. i’m floating. brb." 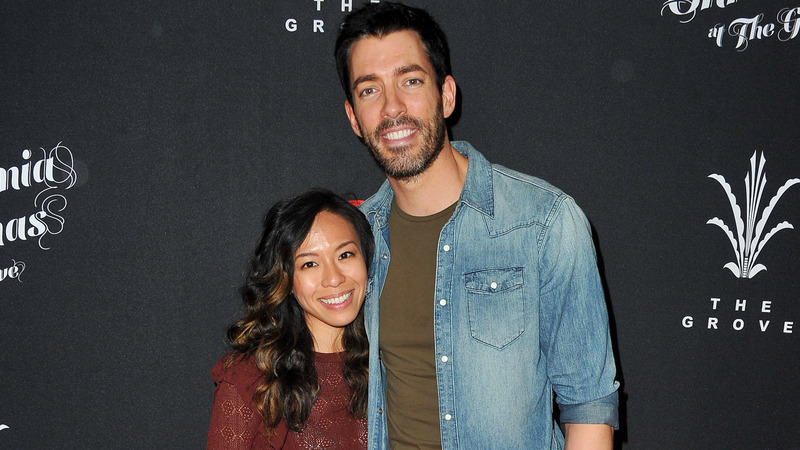 After months of planning and excitement, HGTV star Drew Scott officially wed his beautiful bride, Linda Phan, on May 12. The couple got married in Italy, surrounded by friends and family. Speaking to People magazine shortly after the ceremony, the pair remarked, "We are still floating on clouds… today couldn’t have been more magical." After rumors emerged that Richard Gere had gotten married, People magazine confirmed that Gere married his third wife, Alejandra Silva, in April 2018. The couple, who have a 33-year age difference but aren't letting that stop them by any means (and why should it?) began dating in 2014. According to a source who spoke to the magazine, "They’re so comfortable with each other, have fun together and are looking forward to their future together." Image: Bobby Bank/GC Images/Getty Images. Real Housewives of New Jersey starDanielle Staub married her boyfriend of two years, Marty McCaffrey, in a Bahamian wedding in early May. Her daughters, Christine, 24, and Jillian, 19, were in attendance, as were a handful of RHONJ stars: Teresa Giudice, Melissa Gorga and Margaret Josephs.People magazine reported that McCaffrey proposed during the filming of Season 8, which means the couple planned their wedding very quickly in order to get to the altar! E! 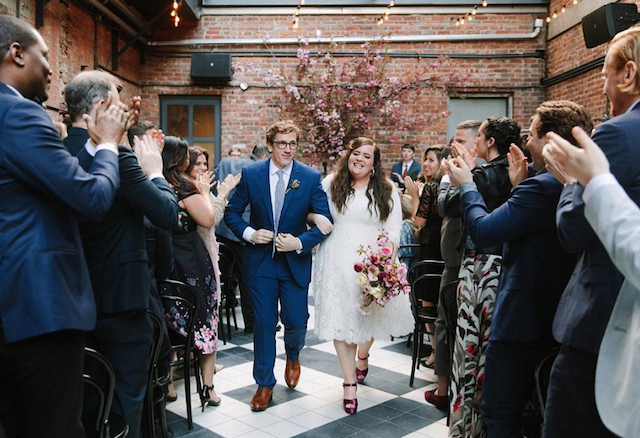 News reported in late April that Saturday Night Live funnywoman Aidy Bryant got hitched to comedy writer Conner O'Malley in the final week of April 2018. SNL co-stars Michael Che, Pete Davidson and Melissa Villaseñor were in attendance at the low-key ceremony. E! News notes the couple had been together for 10 years, having met in 2008 when they were both performers at the Annoyance Theatre in Chicago. Maria Menounos married her boyfriend of two decades (two decades! ), Keven Undergaro, in New York City during Fox's New Year's Eve live broadcast, just before the clock struck 12. Underargo proposed to Menounos in early 2017 while they were live on The Howard Stern Show. Menounos' reaction — which she posted on Instagram — was absolutely priceless. Leave it to Schumer to always keep fans on their toes! The funny lady said I do to chef Chris Fischer on Feb. 14 in a private ceremony in Malibu in front of famous friends like Jennifer Lawrence, Jake Gyllenhaal, Jennifer Aniston, Larry David and Judd Apatow. Fuller House star John Stamos sure has a lot to be happy about these days. On Feb. 3, he married model and actress Caitlin McHugh in Studio City, California. 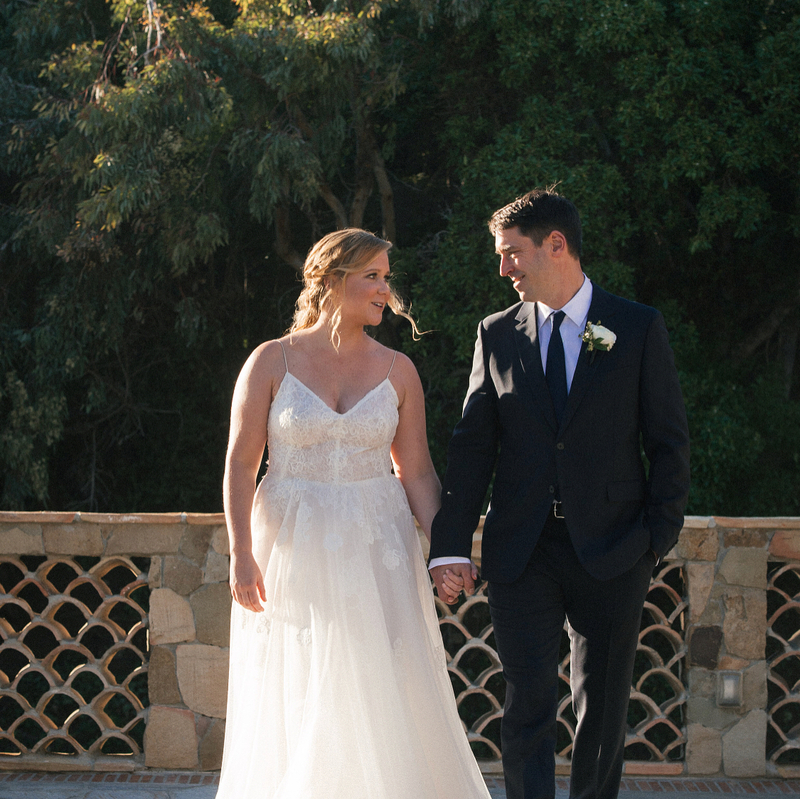 The couple followed up the service with a rockin’ reception at their home in Beverly Hills. Bonus? They just welcomed their first child, a son. 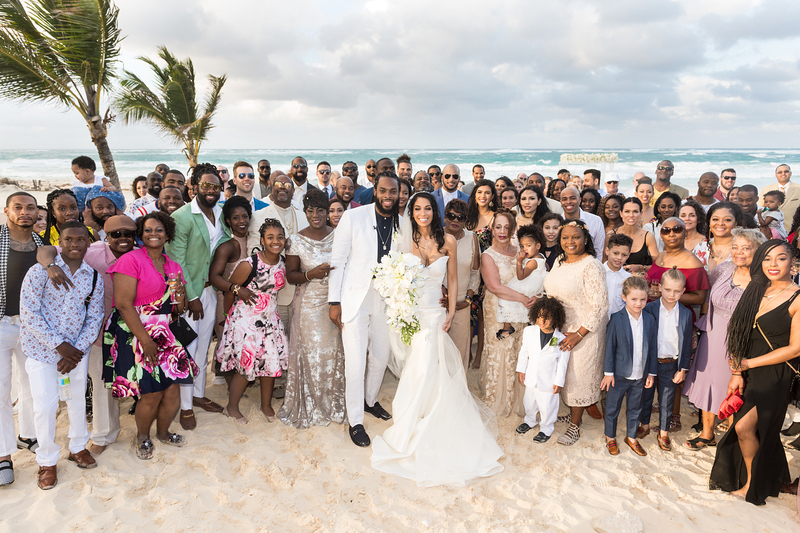 The 2013 Super Bowl champ married his longtime love, Ashley Moss, at the Hard Rock Hotel & Casino in the Dominican Republic’s Punta Cana. “Grateful to share this moment with so many incredible people. Been an amazing trip so far,” Sherman wrote on Instagram, sharing (stunning!) pics from their big day. We can’t say we didn’t see this one coming! 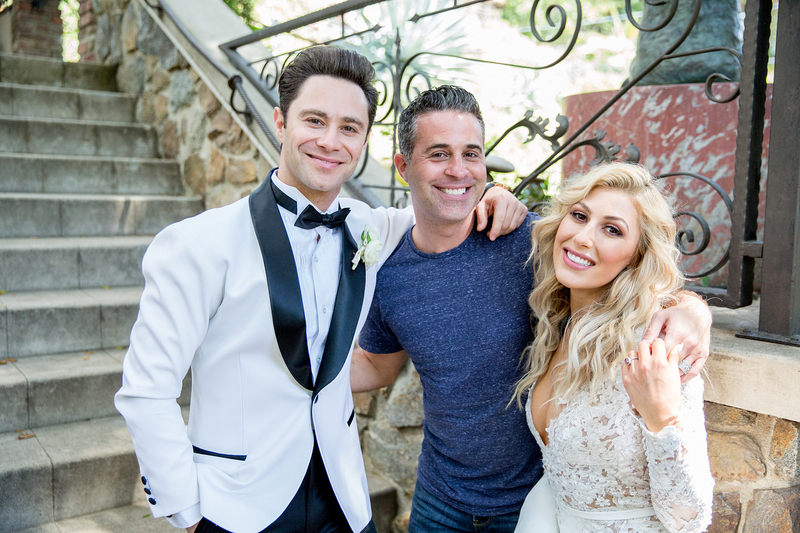 These Dancing With the Stars pros got engaged during a live taping of the show in October 2016, so it was only a matter of time before they made it down the aisle. That happened on March 25 in Los Angeles, according to Us Weekly. The Grammy-winning country singer said ahead of her wedding that she and her singer-songwriter beau weren’t big into wedding planning. 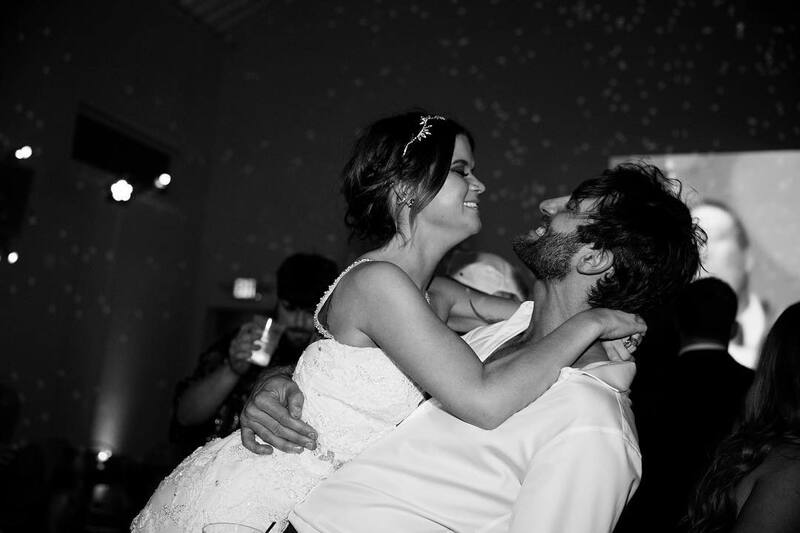 Their low-key Nashville nuptials on March 24 certainly seemed to suit them and were super-sweet to boot. These two have the right idea, if you ask us. 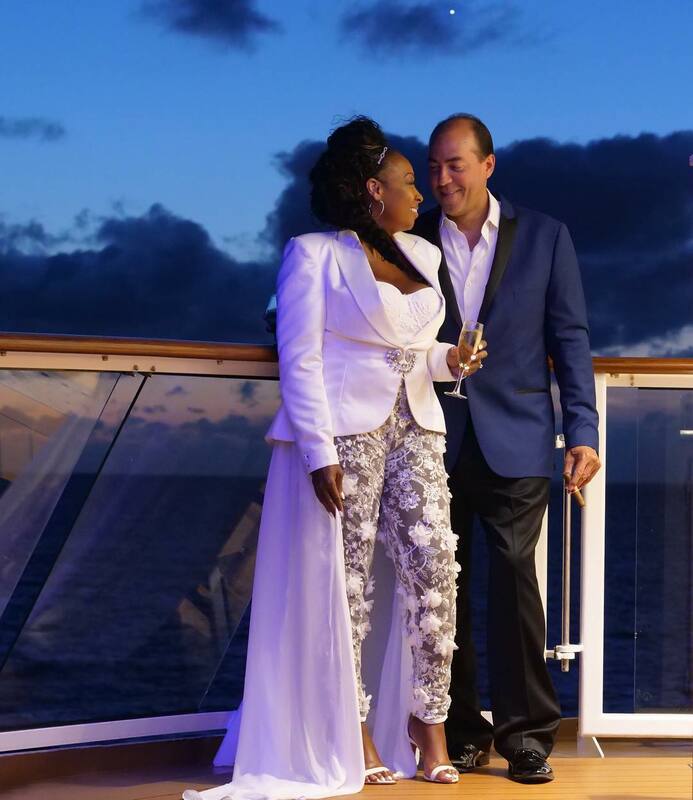 The former View co-host tied the knot with love Ricardo Lugo on a Royal Caribbean cruise with around 150 of their closest friends, according to People. Considering they’d only been publicly dating for a few weeks prior, Ratajkowski and Bear-McClard threw fans for a loop when she announced on Instagram they'd wed on Feb. 23.